The first race of the day in what is the final meeting of the jumps season at Cheltenham is the Class 1 Listed Gilde Mares Novices Hurdle over 2 miles 4 furlongs and we have gone for Posh Trish to land the spoils. This Paul Nicholls trained mare looks to be a class above the rest on the contests she has won this season landing a hat trick before she turned up to the festival. 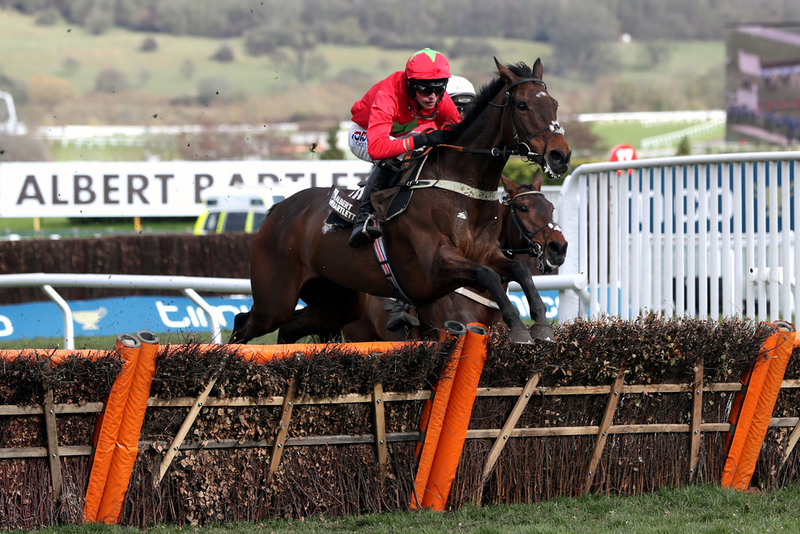 On the Thursday of the Cheltenham festival she went into the Grade 2 Mares Novice contest and just didn't quite run her race finishing eighth, but back in this sphere she can dominate. The Skelton yard are now within touching distance of 200 winners for the season and with the yard thriving at the moment we fancy their runner Desirable Court to land the Mares Listed Handicap Chase. This six year old mare has been in some smart form this season not being out of the top three on five of her last six appearances and in those runs she has landed three of those races. She is seeking a hat-trick at Cheltenham on Thursday after winning nicely at Leicester twice with her last effort being a really gutsy performance and a nice run to lead her into this contest. The Listed Mares Handicap Hurdle over 2 miles 4 furlongs looks to be a really tricky contest but we have gone for the Jeremy Scott trained Bonza Girl to get back to winning ways. This six year old mare has been ultra consistent this season racing six times since November and going on to win five of them in a row, just getting beat last time out. The mare suffered her first defeat of the season when stepping up in class to a Listed contest, but she can learn from that and on ground she takes to it would not be a surprise to see her get back on track. The Henry De Bromhead trained Havingagoodtime is our selection for the feature contest of the day at jumps racing HQ with the Grade 3 Juvenile Hurdle. This four year old filly is the Irishman's only runner of the day and has booked his number one jockey Rachael Blackmore for it which automatically is a good sign. She has been of the track since February meaning she will be fresh for this contest and in her previous outing she ran well in defeat behind Cheltenham festival first and second in the Fred Winter. Strong form line. The penultimate race of the day sees the Class 2 Mares Handicap Chase over 2 miles and we have gone for the Dan Skelton trained Whatduhavtoget. This seven year old mare has ran to a high standard in her three runs this year with all of them coming at Warwick but she has not finished outside of the top two. She has got better and better with each run winning her first two in Class 4 events and then finishing a good second when stepped up in trip in a Class 3. Stepping up to a Class 2 will need another step up but has every chance for a thriving yard. The final race of the jumps season at Cheltenham sees the Mares Standard Open National Hunt Flat Race and in this Class 2 over 2 miles 1/2 furlong we fancy Floressa and Early Morning Rain. The first selection in this tough contest is the Nicky Henderson trained Floressa and this four year old filly has only raced once putting in a smart performance at Ludlow going on to win nicely and that form looks good. Another fancy at a bigger price and advised at each way is the top weighted Early Morning Rain for trainer Jamie Snowden. This five year old is one of the most experienced in the field running three times this season. She has got better with every run finishing first and second in her last two performances, showing her progressive nature and she could come on again for this race.